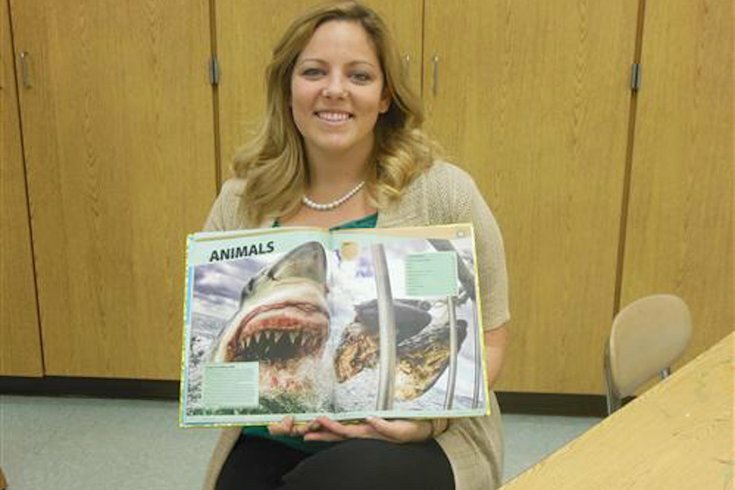 Whitman Elementary School teacher Amanda Brewer's photo will appear in the 2016 Guinness Book of World Records. A Gloucester County school teacher's photo has been selected to appear in the 2016 Guinness Book of World Records. Whitman Elementary School teacher Amanda Brewer snapped the GoPro photo of a great white shark during a trip to Mossel Bay, South Africa, in August 2014, the Washington Township School District said in a release. She was cage-diving off the coast of Seal Island as a volunteer with the charity White Shark Africa. The photo quickly gained attention after Brewer posted it to Twitter. "While I was being interviewed by a representative for Time magazine, they asked me if they could have the folks from the Guinness Book of World Records reach out to me," Brewer said in a statement. "I agreed to the terms of the contract for publishing the photo, but I was adamant that it be connected to a conservation-based record. They agreed to my terms. Kids love these books. I wanted them to know that, yes, sharks are cool, but they are also in trouble." Brewer spent this past summer back in South Africa with a foundation that she helped to form called "Sharkservation," which offers trips abroad for teenagers to work with shark conservation companies. The photo appears under the world record category of "largest predatory fish."